LASD Assistant Sheriff Robin Limon. 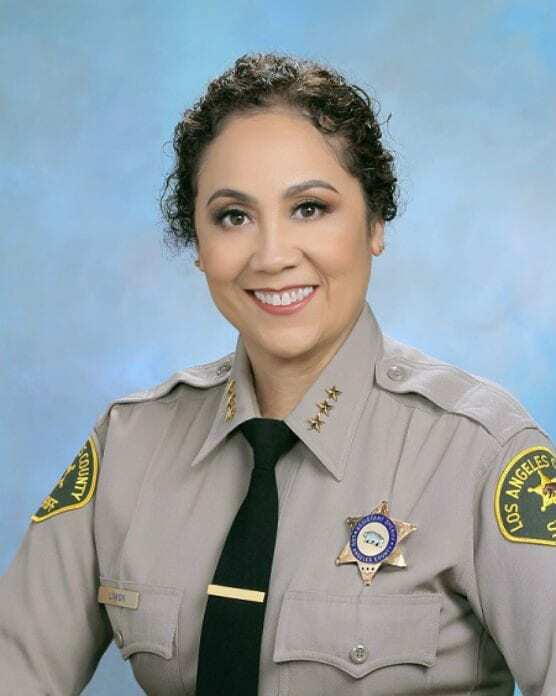 Los Angeles County Sheriff’s Department Court Services Division Chief Robin Limon has been promoted to Assistant Sheriff for LASD, according to the Sheriff’s Information Bureau. Limon has been a department leader in numerous high-profile positions and brings a diverse leadership background to her new position. As Assistant Sheriff, Limon will oversee Countywide Operations, which includes Detective Division, Technology & Support, Special Operations Division, and Countywide Services Division, which encompasses more than 200 facilities located across the 4,752 square miles of Los Angeles County. As a sergeant, Limon worked in multiple custody facilities before transferring to Pico Rivera Station as a field sergeant and watch sergeant. She served at Emergency Operations Bureau in the Tactical Planning Unit before promoting to lieutenant. In December 2018, Sheriff Alex Villanueva promoted Limon to the rank of Chief, overseeing Court Services Division.